Happy Friday lovelies!!! I'm finishing off this week w/ a cover-up I'm IN LOVE with that I wore yesterday for a family trip to the beach. Of course I'm obsessed w/ the off-the-shoulder style, but the big flutter sleeves really take the cake. P.S. it's only $29 and also comes in 4 other colors!! It's even a cover-up you can rock as a dress to a lunch by the beach or a sunset dinner. I'm also really loving these new Quay sunnies. They were sold out for weeks, and I finally was able to snag a pair before they sold out again. Love the cat-eye style and of course the bluish green mirrored lenses. I'll definitely be rocking these the rest of the summer. 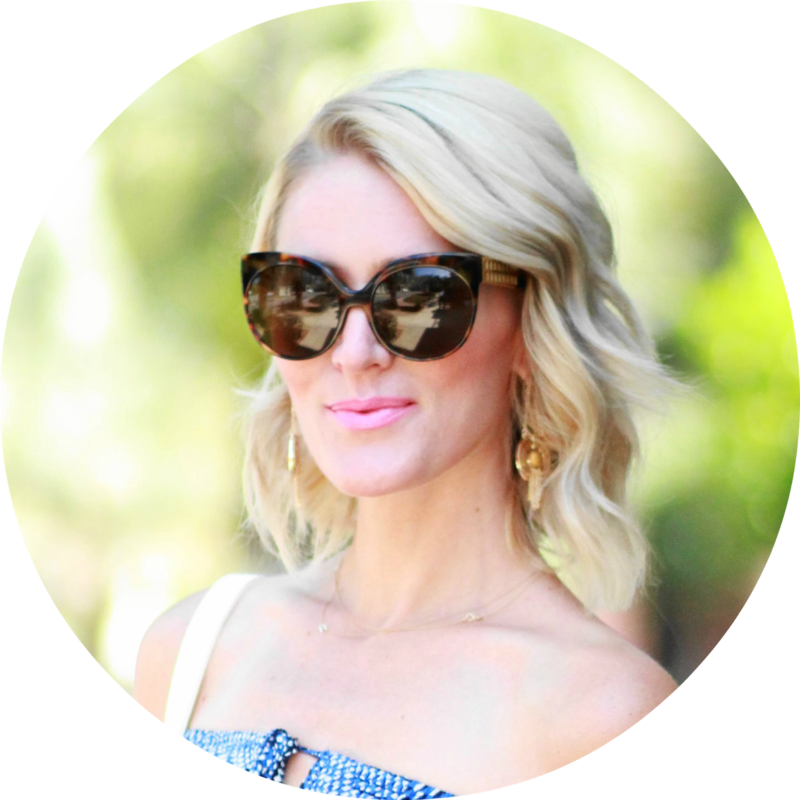 Shop some of my fave summer items via the widget below!